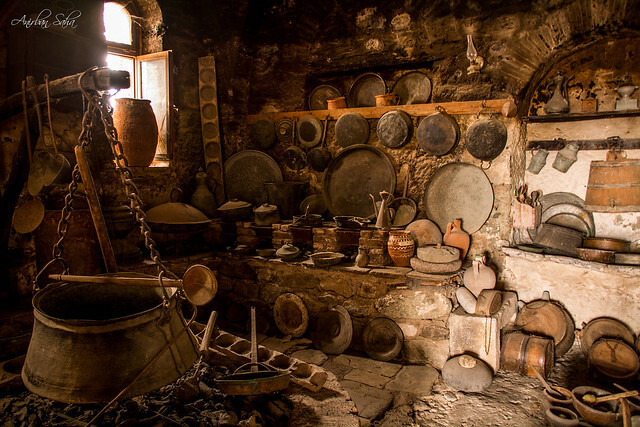 What would cross your mind first if you heard about Greece? Thousands of years of rich history? Iconic monuments? Mind blowing sculptures? Origin of the Olympic games? What if I told you that there is much more to Greece than these? 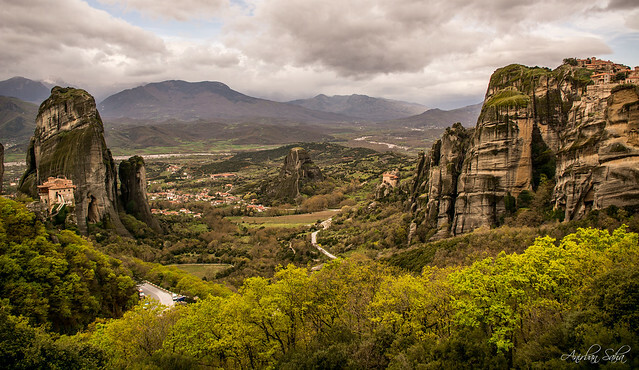 Meteora, located very near to the town of Kalambaka, gives you an entirely different view of Greece. 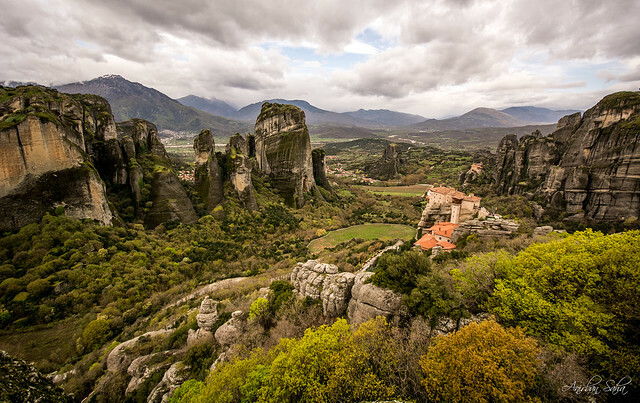 The naturally created sandstone structures and the monasteries on top of them would leave you wondering about how these came into existence. 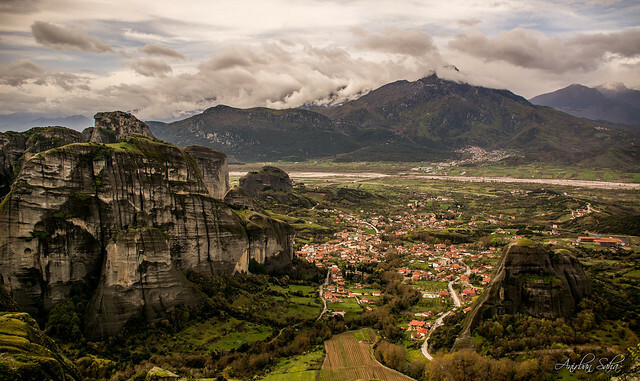 The beautiful town of Kalambaka is where you need to show up first on your quest of Meteora. 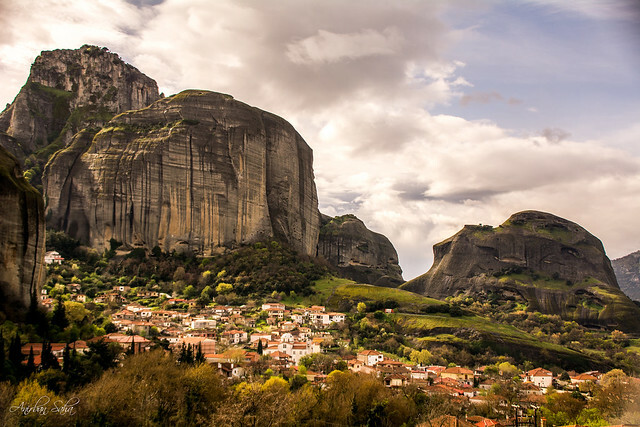 Beautiful views of the sandstone structures from the town itself can leave you with an idea of how majestic Meteora is. 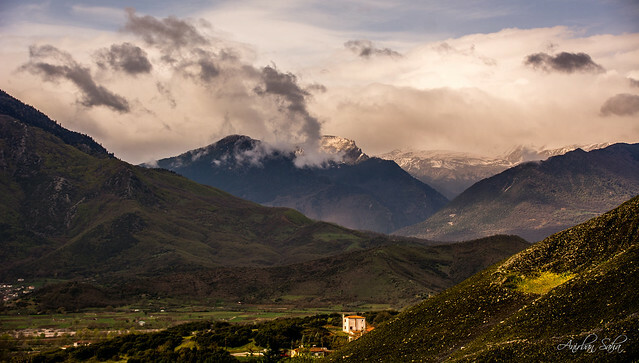 Snow capped peaks with fleeting clouds are a common sight even at the onset of Spring. Its incredibly beautiful even without the rock structures. See for yourself !! 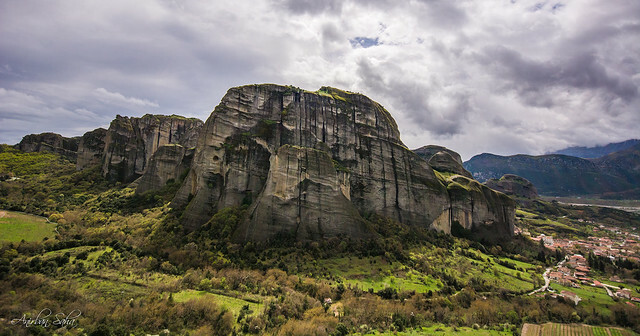 It is believed that the entire region of Meteora was under water thousands of years ago and these amazing structures were formed by wind and water erosion over the years. 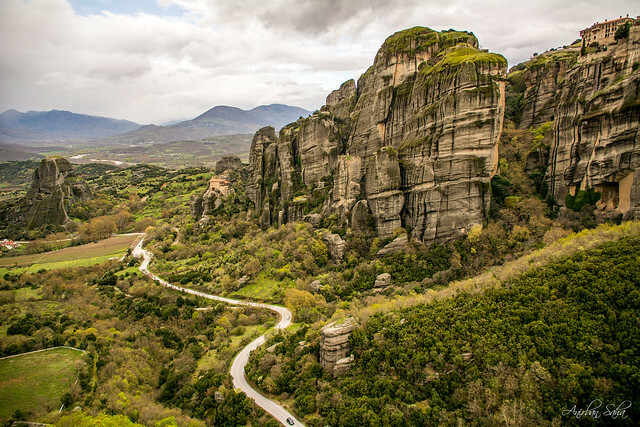 Every bend on the roads of Meteora provides breathtaking views of the rocks, the mountains, the woods and the small town below. 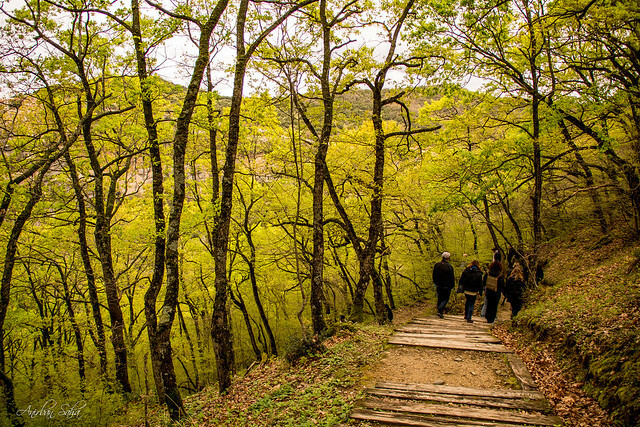 The lush green woods rich with the fresh spring leaves only add to the magnificence. 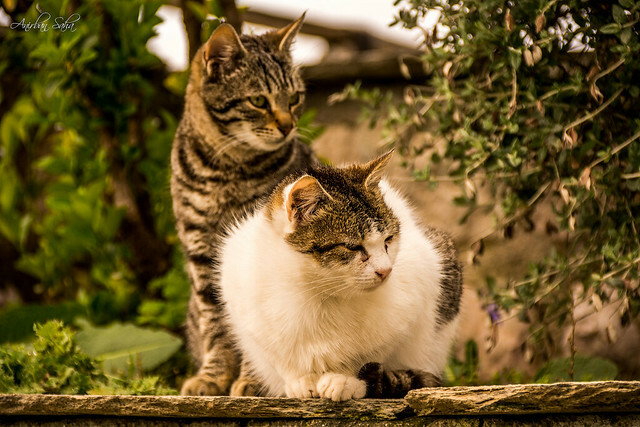 There are also beautiful routes to take a walk. What can I say about how soothing it is? Let the pictures do the talking !! 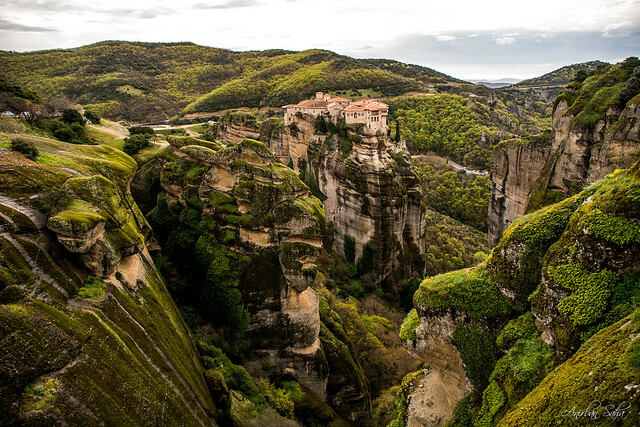 If the natural richness of Meteora don’t leave you awestruck, the monasteries definitely will. 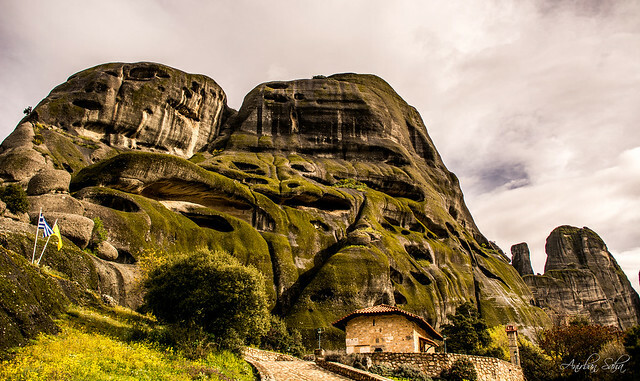 It is believed that a group of hermits were the first to inhabit Meteora and they lived in the hollows of the rocks formed by erosion. 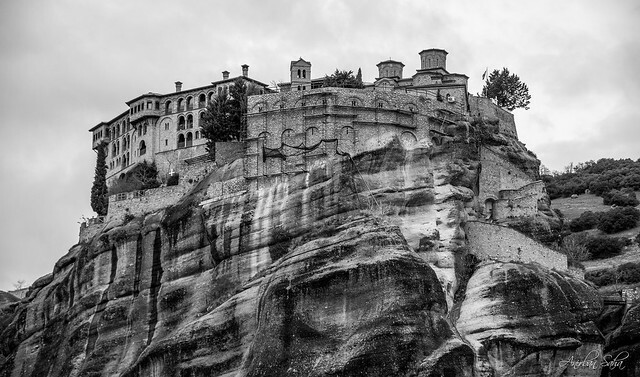 Later the monasteries were built on top of the rocks and their positions will definitely blow your mind. 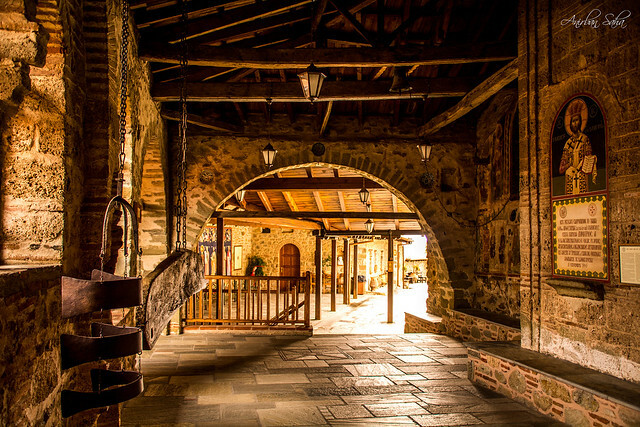 There are six monasteries in total but the biggest and oldest of them is the great Meteoron monastery believed to be built in the 14th century. Initially, the materials to built the monasteries and later the supplies for the monasteries were brought by this gorge and transferred to the monastery via pulleys. 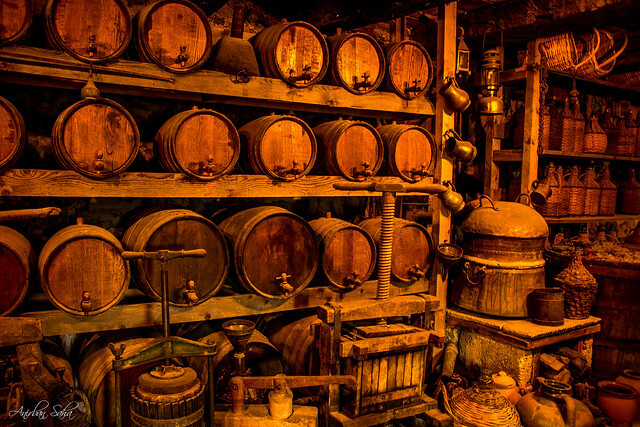 Presently, the monastery has carefully preserved rooms exhibiting the things used by the hermit monks in the old days. 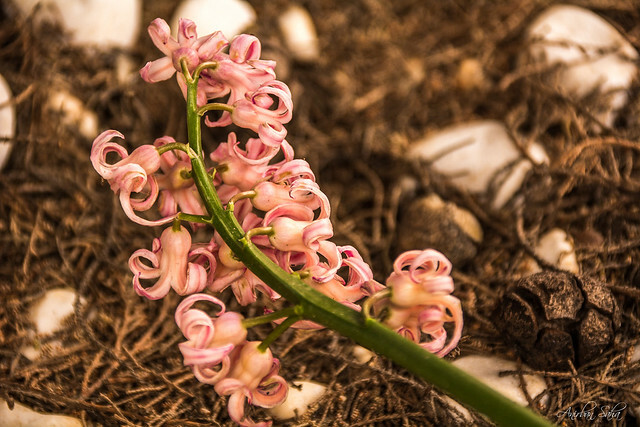 Although some parts of the monastery is not open to visitors, the accessible areas are enough to provide visitors with a feeling of tranquility and to present a glimpse into the humble life of the hermits. Each monastery offers a different view of the area and one cannot help but remain mesmerized by them. 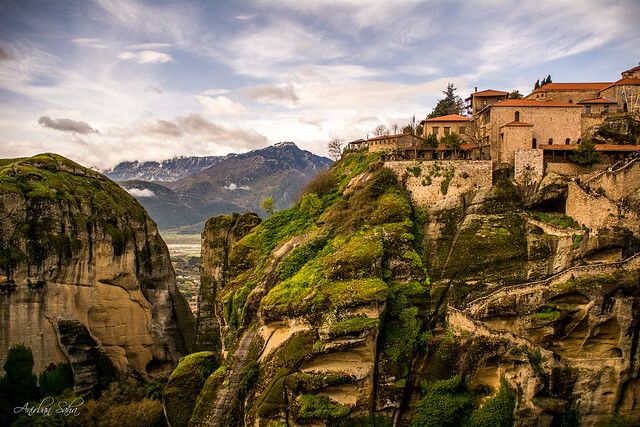 So next time you’re in Greece, make sure to head to Meteora and experience this Greek marvel.